This past Monday, my youngest grandchild, Sutton, turned 2! Because of the time constraints on Monday they had a party for him on Sunday afternoon. I went by, chased Sutton down, tried to get him to give me a kiss, but all I got was a chocolate chip cookie. By the way it was pretty good! I watched him run around the yard for a bit, then he came inside. He went straight to the table where the fruit, veggies, and cake were at. He got some strawberries, apples slices and something to drink. Then the fun started. It was time to open the presents. He would open one, look at it then move on to the next package or bag. He tried to play with some of the toys, but for the most part he moved on to the next package. He came to the package that Memaw had wrapped for him. He just tore into the wrapping and got it all off. Memaw had taped it shut so he just kind of shoved it to the side and went on. I went over and cut the tape then Joshua opened it up. There was not a toy one in it. It was clothes. One of the hoodies was even orange (imagine that!). But Sutton didn’t seem to care. He started looking for another toy to play with or a package to open. The clothes didn’t seem to matter to him at all. After I left, I got to thinking about how Sutton had just kind of ignored the present Memaw had given him. Oh, it will be nice for Joshua and Danielle when they go to dress him, but as far as Sutton was concerned the toys were the center of attention. He just wanted to focus on them and nothing he would have to wear. Then I thought. Man, he is just like so many of us as Christians. We get the stuff that makes us feel good and we just want it to keep coming. We focus on those things which allow us to continue doing the things we want to do. I thought back to when Moses and Aaron sent the twelve men to spy out the land of Canaan. It was a land that was flowing with ‘milk and honey’. Sounds like good stuff doesn’t it? But when they got back from their journey into the land, ten of the twelve said that there was no way they could do it. That is when something happened that made me think they were more focused on what they saw and less on what God could do. Even though Joshua and Caleb gave a good report telling them that the land was good, the people didn’t want to ‘open the box’. The focus here for me is that God said He was going to give the land to the sons of Israel. God was going to go before them and they would not just have the wrapping (freedom from the slavery in Egypt) but also the gift inside the box (the land of promise). Ten of the twelve never saw the Promised Land, but Joshua and Caleb were ultimately able to enter that land and enjoy the fullness of the package that God had promised them. It was a journey that took time, but these two never took their eyes off of the complete package God gave them. I think that so many times we are like the ten. We look back at what was and are afraid to step out and claim the promises of God. 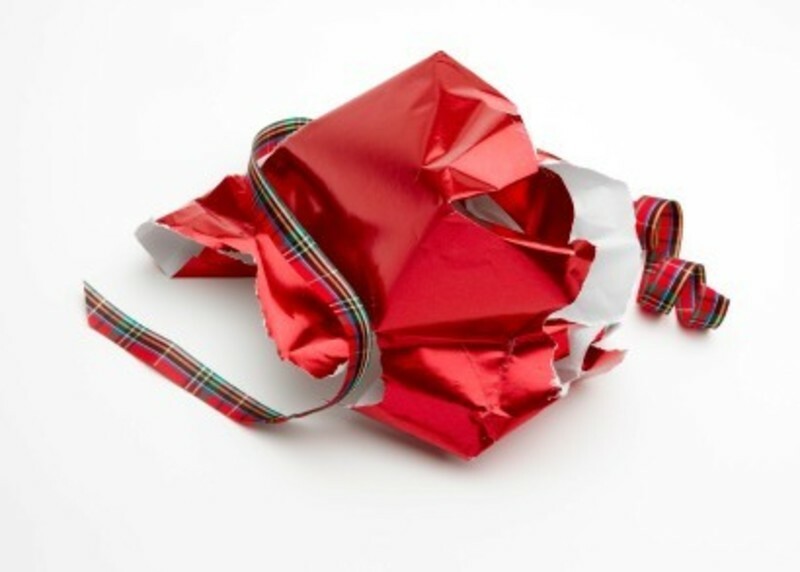 We spend so much time with the ‘wrapping’ that we never get to the gift that God desires for us. Sutton will wear those clothes one day because Joshua and Danielle will see to that. God wants you, by faith, to fully open the gift He has for you in Jesus Christ. When you do, you will find the clothing of righteousness that will mean more than all the ‘wrapping’ this world can offer.